Without proper maintenance, your air conditioner can lead to a variety of problems that can affect workplace productivity and customer satisfaction. Depend on Palm Air for your commercial HVAC needs if your business location is within Palm Beach or Broward counties and if your system is 50 tons or less. 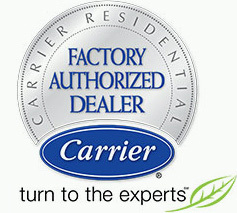 From our NATE certified technicians and 24/7 emergency repair services to our 100% satisfaction guarantee and highest quality products, let us help you keep your business running smoothly with regular HVAC maintenance. Think of all the things you do to keep your business running smoothly. Whether your company requires stocking shelves, cleaning, making reports, or having meetings, there are several steps you take on a regular basis to continue bringing in new sales, growing as a business, or just trying to stay afloat until the busy season ends. What should also be a part of your company’s routine is standard maintenance for your HVAC system. Limiting Risk of Repairs: Air conditioners that are routinely maintained are less likely to require expensive repairs. Maintenance appointments can also help you discover small problems before they become bigger to fix. Lower Energy Bills: If you’re at all concerned with keeping costs low to maximize profits, you should know that maintenance helps your HVAC system stay efficient for longer periods of time. Boosted Indoor Air Quality: You’ll make everyone happy by keeping your commercial building free of indoor air pollutants with routine maintenance. Depend on Palm Air for your commercial HVAC needs if your business location is within Palm Beach or Broward counties and if your system is 50 tons or less. 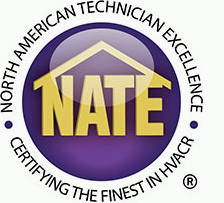 From our NATE certified technicians and 24/7 emergency repair services to our 100% satisfaction guarantee and highest quality products, let us help you keep your business running smoothly with regular HVAC maintenance. For more information or to schedule an appointment, call us at 561 922-3199 today!